MRF Limited, Human Resources Department - Latest Employment News, Sarkari Naukri, Current Vacancy and Rozgar Samachar. 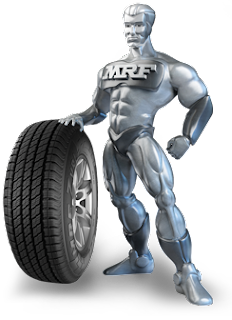 A leader in the category MRF holds the No.1 position for the last 21 years.Established as toy-balloon manufacturing company in 1946 by KM Mammen Mappillai, MRF quickly emerged as the leading maker of tread rubber. Since then, the company hasn't looked back.The fact that it is the first tyre company in India to reach a turnover of 5000 Crores is testament to its dominance of the industry. 1. Candiadte should be in age group 22 to 26 Years, Preferably 1 to 3 Years of Exp., and willing to worl any where in India. 2. Familarity in Computer Operationals in MS office and Tally are Essential. 3. Fresh Candidates can also apply. 124, Greams Road, Chennai - 600 006.